I saw this recipe in Real Simple it popped out, and I knew I had to make this, Rene and I love pasta, and he loves shrimp (I like, but prefer it in the form of shrimp cocktail, something about it served warm just doesn’t excite me). ~Heat the oil in the pasta pot over medium-high heat. 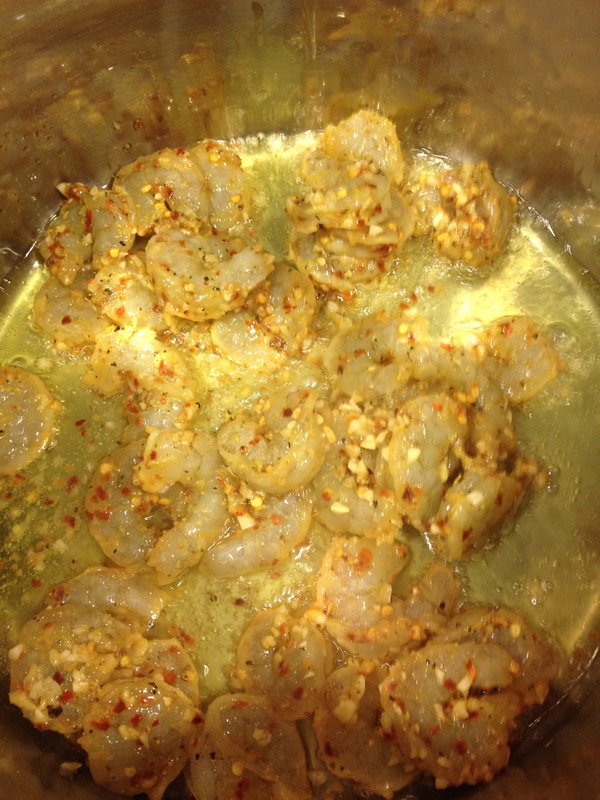 Add the shrimp, garlic, red pepper, and ½ teaspoon salt. Cook, tossing occasionally, until cooked through, 3 to 4 minutes. 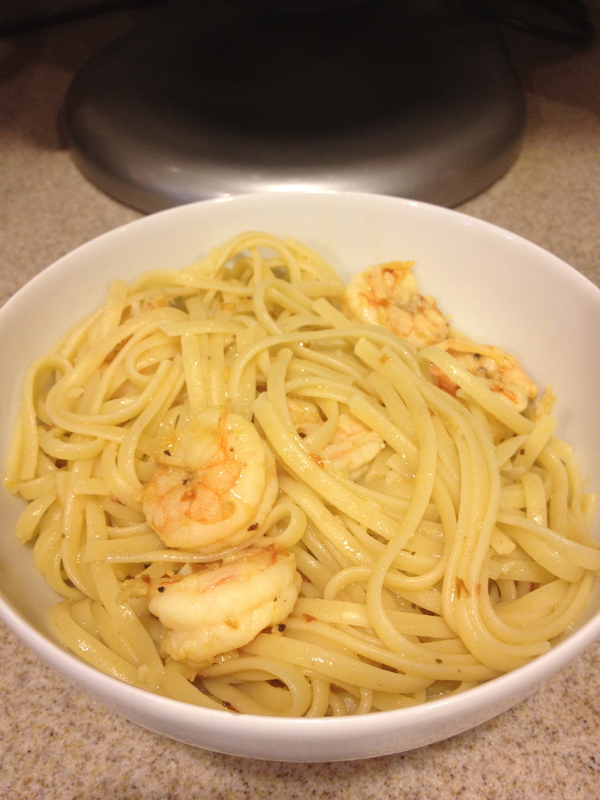 Categories: Italian Food, Seafood | Tags: lemon, linguine, pasta, shrimp, spicy | Permalink.